A very few days ago I sat down at the desk to write about the joys of surprise. That post, named Planning-The Enemy of Surprise, closed by telling the story of how a lack of planning led to a strange convergence of moments and a surprise meeting of friends. Today, it seemed the world wanted to give me proof of the theory. Yesterday was a beautiful day in Alaska; one of those days you had to take photos. 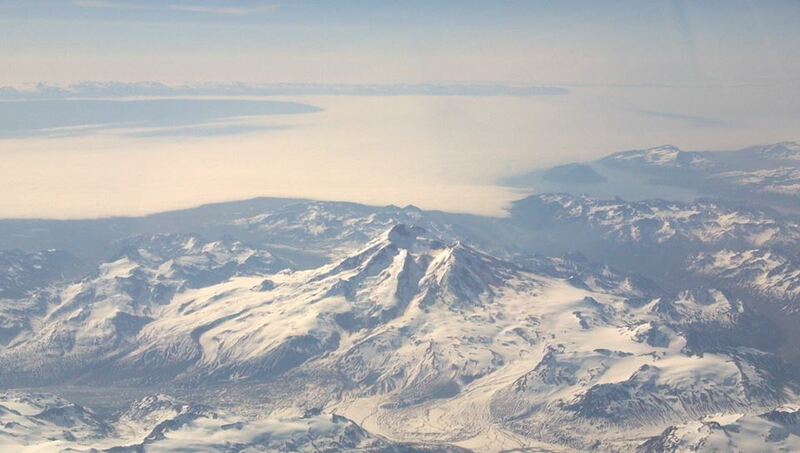 Visibility was incredible, mountains displayed snow, Redoubt puffed as we flew by, and the captain pointed out landmarks. 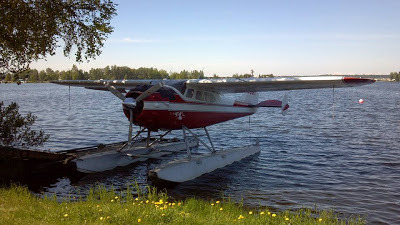 The same guy, being from Anchorage and a fellow aviation enthusiast, also offered a tour of Lake Hood when we were done. Most people assume pilots love flying but it’s actually pretty rare in the commercial world. 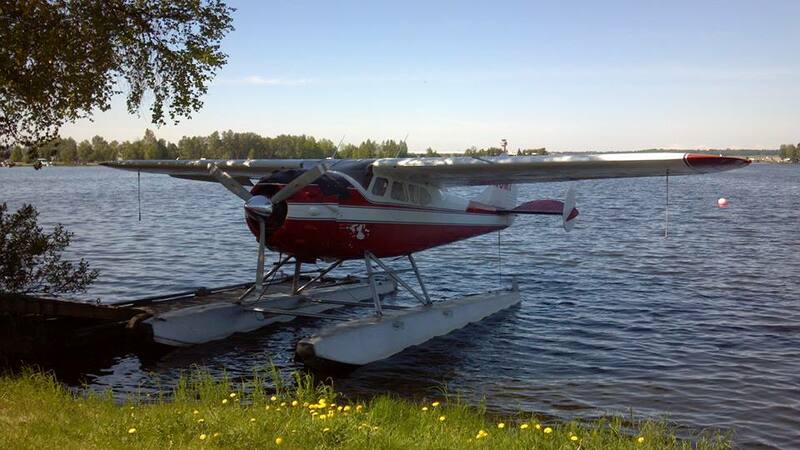 Therefore,when I had the chance to get out around Anchorage with someone who knew the difference between a Beaver and a 185 on floats, I took it. As we expected, things were really happening around the lake. Driving around to see everything there was to offer, we visited the Alaska Airmen’s lodge so I could renew our membership and find a jacket for Ginger, checked out all the seaplane tender trucks, and went by The Millennium to check out a 195 on floats which was nearby. Beavers were taking off from the lake, Super Cubs were landing on the gravel, and one last plane was being converted from wheels to floats. That alone would have made it a great unexpected day but there was more to come. Arriving at the hotel I got in touch with Justin Ackinson, a fellow crew member and classmate who happened to be in town. He had yet to have lunch so we hit the town to eat and swap flying stories. Hearing the Kings were running, we went to Ship Creek to see if they were but found nothing. Apparently we were one week early. Oh well, it had already been a great day. Back at the hotel I sat down to post some of my photos. One after another I put captions to them and was just about to post another when I saw an interesting post by someone else. It was from an acquaintance I had talked to for several years but never actually met. Doug Rozendaal and I have had some great online and phone conversations through the years. Being a fellow devil’s advocate, you can imagine there have been times things were rather spirited. Yet, like I said, we’d never actually met. Yesterday would change that. By chance, Doug was in town with his friends Mark Holt and Adam Glowaski. In fact, they were half-way through their own surprise filled trip to Alaska and had been sitting in The Millennium taking and posting photos of themselves with the girls of Flying Wild Alaska. Later I would find out they were doing so at the very time we were driving by The Millennium to look at a 195 on floats? Those were the photos I later saw and to find out if they were currently in town I sent them a message. To my surprise, not only were they in town, they were staying in the same hotel. F-Street Pub is not where I expected to finally meet Doug. But hey, it was a day of surprises. Sitting down with him, and his buddies Mark and Adam, would be the beginning of some great conversation. It would also lead to more surprises. First though, Doug wanted to know how Ginger was doing. I've pretty much grown used to that and with my answer and introductions out of the way the night began. I’m not much of a person for the notion of celebrity but somewhere through the night the energy at F-Street took a rapid surge upward. The girls from Flying Wild Alaska had arrived. When they stopped to say hello to their new friends Adam, Mark, and Doug, I was introduced. Successful reality shows almost always come down to the subjects being “characters" and after meeting the Twetos, I could see why theirs was still on the air. Yet, that wasn’t the big surprise of the night. Earlier in the evening, while the atmosphere at F-Street was still dignified, an amazing thing happened. It was one of those great aviation moments. Sometimes there’s just something about someone that seems a little out of place. The girl who had been waiting on our table was such a person. It was obvious she had a little more going on upstairs than the rest. She also seemed to be stopping by our table and pausing longer while there as if she had something to say. Soon we would know why. 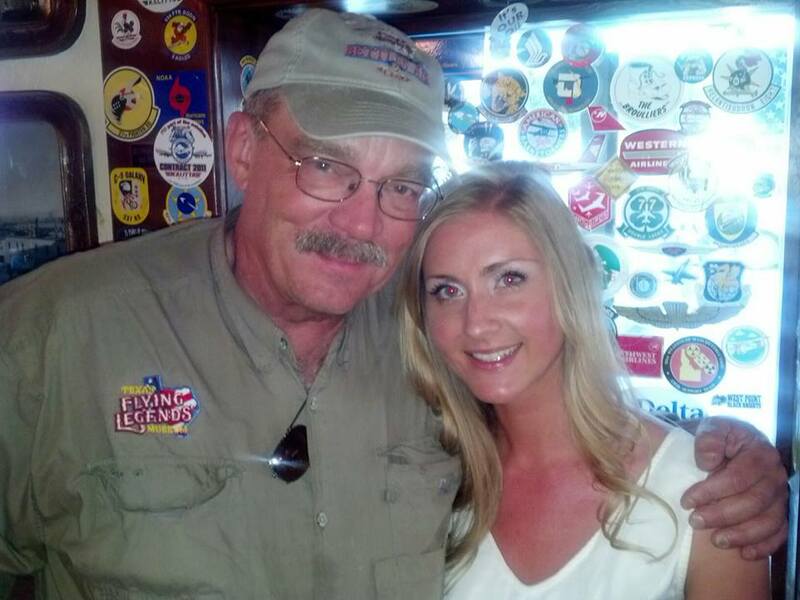 Her family had a unique interest in aviation that would show itself when she finally asked Doug about his shirt. What happened next we couldn’t believe and I’m quite sure the following conversation led to a few watering eyes. That’s a story for Doug and the guys though. If you want to read about it, keep and eye on their blog. I’m sure they’ll eventually post it. Like I said a few days ago, aviation is full of surprises.